Holly's Horrorland: Let's break out the booze and have a ball! First off, sorry for my absence and the short notice, guys. and the beginning of a FUNdraiser for savelucythebat.org! Then on July 31st, post a photo of you in a costume. 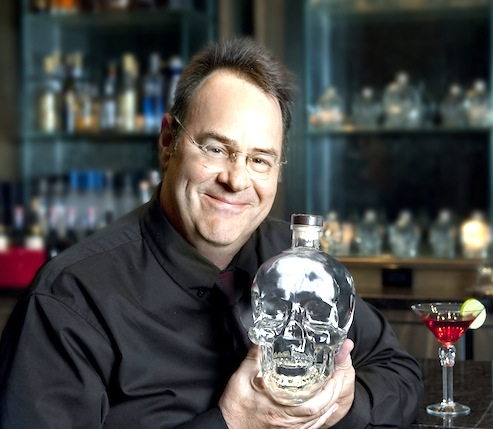 Where can I purchase a Dan Aykroyd? Sadly he's not for sale. We'll have to kidnap and clone him! missed you sweet lady, happy birthday... i think i told you that i too want to get a dan aykroyd... of my very own. Aw, thanks. I missed you too. Glad to be back in Blogland. I want one those bottles so bad!!! It would be a nice addition to my skull collection.